Should I File for Workers Comp or a Personal Injury Lawsuit? Millions of injuries and illnesses are reported at U.S. workplaces every year. Laborers, truck drivers, nursing aides, custodians, cleaners, and law enforcement officers are the employees most commonly injured at work. Workers’ compensation insurance normally covers these injuries and illnesses. However, under some circumstances, an injured worker may have the option to file a lawsuit against the employer. The workers’ compensation system aims to take care of workers involved in work-related injuries while protecting employers from lawsuits arising from these injuries. Under the system, employees receive compensation for medical expenses and other expenses related to injuries or sicknesses suffered in the workplace. This makes it unnecessary to file a lawsuit against the employer. The workers’ compensation insurance is financed by employers and managed by the state. Workers’ compensation is an exclusive remedy when workers are involved in work-related accidents, even if the accident resulted from negligence of the employer or co-worker. An injured worker will receive medical benefits and lost wages. Our Missouri workers’ compensation attorney reminds us that damages for pain and suffering are not available under workers’ compensation. An injured worker may file a lawsuit or receive compensation from the state if the employer does not have workers’ compensation insurance as required by law. A worker can file a personal injury lawsuit against a third party, such as a builder or engineer, if the third party, and not the employer or co-worker, caused the injury. A third-party claim can also be filed when the worker suffers an injury caused by a third-party while using the car of the company. The injured worker may be eligible to receive compensation for all medical expenses and lost wages in personal injury cases. The injured worker can also receive compensation for the pain and suffering that he or she experienced. An injured worker can file a product liability lawsuit against the manufacturer of a product that caused the injury. These injuries may be caused by defective equipment or machinery or if the equipment itself was not designed properly. An injured worker can also file a toxic tort lawsuit against the manufacturer of hazardous substances, such as benzene, radium, asbestos, silica, and chromium compounds, which caused the injury. 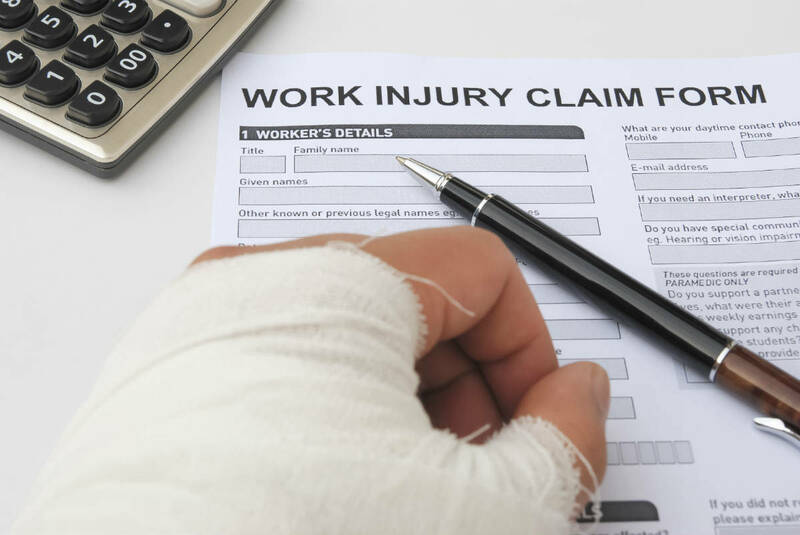 Work-related injury and illness claims are complex, particularly if the claim is filed outside of the workers’ compensation system. The facts of each case and state laws are unique. Consult a St. Louis workers compensation attorney from The Law Office of James M. Hoffmann to understand your legal options. Call us at (314) 361-4300 for a free consultation.